Being able to drive a company vehicle gives you some real advantages, especially in New York City, but if you’re involved in an accident while you’re driving your employer’s vehicle, who pays for the damages and injuries? 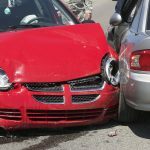 What can a car accident law firm do to help? When someone driving a company car is involved in a collision, who pays for the damages will hinge – more or less – on whether the person operating the company vehicle was working at the time. More precisely, who pays will depend on if that driver was operating within the “course and scope” of his or her job duties when the crash occurred. The legal concept of “vicarious liability” makes most employers liable for the negligence of most employees who were acting within the “course and scope” of their employment duties. Let’s say that a delivery person on his or her normal delivery route runs through a red light and into a bicyclist. Vicarious liability means that the employer will probably be held liable for the bicyclist’s injuries – because the driver was operating within his or her regular job duties. WHEN IS VICARIOUS LIABILITY APPLICABLE? 1. 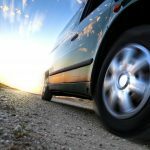 Was the vehicle’s driver an independent contractor or an employee? 2. Did the incident occur “within the course and scope” of the employee’s duties? 3. Was the employee’s negligence intentional or unintentional? Employers in New York are almost never held liable for the negligence of independent contractors. They may only be held liable for the negligence of their own employees. If your injury is caused by an independent contractor who is driving a vehicle owned by a company that has hired that contractor, there is no vicarious liability and the company is not considered liable. HOW ARE CONTRACTORS DISTINCT FROM EMPLOYEES? Determining who is an employee or a contractor is seldom difficult, but when a driver injures you and that driver is an employee, determining the “scope and course” of that employee’s job duties can often be difficult. Another important factor is the kind of auto insurance coverage carried by the employer. Some employers carry collision insurance that covers employees; some don’t. If your employer asks you to operate a company vehicle, make sure that you understand exactly what the coverage is – before you get behind the wheel. WHEN DOES VICARIOUS LIABILITY NOT APPLY? You should also understand that even when a driver is “on the clock,” vicarious liability will not apply if the driver was not acting in the course and scope of his or her job duties. Here’s an example: If a delivery driver takes the company car or delivery truck to lunch, drinks one too many, returns to the delivery route and subsequently causes an accident, the employer will have no liability, and vicarious liability will not apply. Why? Because criminal behavior – driving while intoxicated – is not in the course and scope of a delivery driver’s duties. Similarly, if a driver uses a company vehicle for personal reasons that are not work-related, whether on or off “the clock,” the company does not have any liability for an accident. WILL YOU NEED AN ATTORNEY’S ADVICE? If you sustain a personal injury or injuries while driving your employer’s vehicle, or if you’ve been injured by another motorist who was operating a company vehicle, you will require reimbursement for your related medical expenses and your days lost from work. If you are injured in or near New York City, you’ll need to have the advice and representation of an experienced personal injury attorney. If a careless driver injures you, and that if the driver was operating a company vehicle within the course and scope of his or her employment duties, you may be able to pursue a personal injury claim against the negligent driver and the driver’s employer as well. If you’re injured seriously, you may need the maximum available compensation. HOW WILL AN INJURY ATTORNEY HELP? After any traffic accident with injuries, a variety of factors must be taken into account. Have the details of your case examined by a knowledgeable New York personal injury lawyer? There is no charge or fee for a first consultation and a review of your case. Your personal injury lawyer will explain how the law applies to your own case and – if you have grounds for legal action and you choose to take that legal action – your attorney will protect your rights and fight for the justice and for the compensation you deserve. If you were operating a company vehicle, and if you’ve been injured by a careless driver while you were functioning within the course and scope of your employment duties, you can probably pursue an injury claim against the motorist who caused your personal injury or injuries. In any collision that involves an employer-owned vehicle, if the driver was working within the course and scope of the job duties, the employer has vicarious liability and cannot make the employee responsible for any of the damages. WHAT ABOUT RECKLESS BEHAVIOR AND RECKLESS DRIVING? If an employee causes an accident because that employee was acting recklessly or violating company rules, that employee may be terminated. Employers are almost never considered responsible for the intentional misbehavior of employees. Nevertheless, after any collision that happens when you are driving a company-owned vehicle, you should speak to your supervisor or manager immediately to understand fully the company’s policy and position. Report the crash and adhere to the company’s accident policies, procedures, and practices. If your accident and injury happened in or near New York City, after contacting your employer and obtaining medical attention, discuss your rights and options immediately with a skilled Bronx personal injury attorney. In the state of New York, the victims of negligence have the right to compensation – and the right to justice. If you injured by a negligent driver – in any accident scenario in this state – get the legal help you need at once. That is your right.